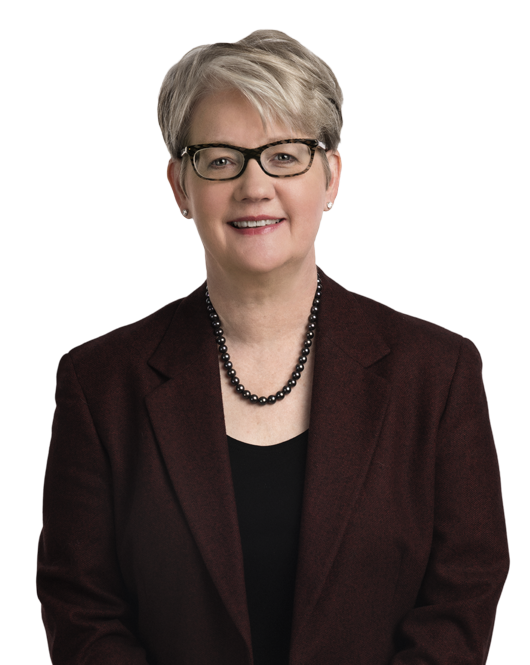 Patricia Sweeney has practiced exclusively in the area of federal taxation for more than 35 years, advising large U.S. and foreign-based multinationals regarding the resolution of federal tax disputes. She has extensive experience evaluating tax positions, developing strategic responses to Internal Revenue Service (IRS) challenges and resolving federal income tax controversies before the IRS and in court. Ms. Sweeney's broad range of clients in the automotive, oil and gas, natural resources, chemical, financial, aerospace, utility and telecommunications industries hire her to resolve their most pressing tax controversy problems. The substantive areas in which she successfully represents clients include: tax accounting issues (including depreciation, casualty loss, capitalization, inventory and accrual issues); research and development (R&D) credits, partnership taxation, domestic production deduction issues, transfer pricing, tax structured transactions, taxation of financial instruments, worker classification and foreign tax credits. Ms. Sweeney regularly assists her clients with IRS examinations, Appeals and other IRS alternative dispute resolution (ADR) procedures, including post-Appeals mediation, Industry Issue Resolution (IIR) Programs and technical advice and Private Letter Ruling (PLR) Requests. Her knowledge of the IRS and Department of the Treasury processes and personnel, as well as her experience litigating tax cases, allows her to develop effective strategies that maximize both successful administrative resolutions and courtroom success. Ms. Sweeney has a talent for developing and leading an integrated team that maximizes the talents and resources of the client's own personnel and other advisors. Ms. Sweeney served as Chair of the Tax Department and a member of the firm's Executive Committee from October 2008 - June 2015. Representing a Global 50 company in a Post-Appeals Mediation in a matter involving complex partnership and corporate tax issues. The proposed loss disallowance exceeded $1 billion. Representing a foreign-based multinational in a Post-Appeals Mediation in a foreign tax credit matter involving hundreds of millions of dollars in credits. Representing a multinational technology company before IRS Appeals regarding the deductibility of a contested liability payment. The proposed disallowance exceeded $500 million. Assisting a foreign-based multinational with an IRS Audit by developing audit strategies and advising the client team interfacing with the IRS agents regarding multiple audit issues, including transfer pricing, foreign tax credit, domestic production deduction, R&D credit and tax accounting issues. Lockheed Martin Corp. v. United States, D. Md. Dkt. 8:12-cv-3725-DKC. Represent the taxpayer in litigation involving R&E credit claimed for aerospace prototypes and the interaction between section 199 and the extraterritorial income exclusion. Rehrig v. Commissioner, Nos. 10067-10 and 10070-10 (Tax Ct. filed May 3, 2010) Represent taxpayer in litigation involving application of the S Corp rules. Hercules, Inc. v. Commissioner, No. 21793-03 (Tax Ct. filed Dec. 23, 2003) Represent taxpayer on multiple issues, including contingent liability management company, partnership and claim of right issues. Exxon Mobil Corp. v. United States, 244 F.3d 1341, 2001 U.S. App. LEXIS 5452 (Fed. Cir. 2001), aff’g in part and rev’g in part, 45 Fed. Cl. 581 (1999) Represent taxpayer in matter involving percentage depletion issues. Weyerhaeuser Co. v. United States, 92 F.3d 1148 (Fed. Cir. 1996), rev’g, 32 Fed. Cl. 80 (1994), cert. denied, 519 U.S. 1091 (1997) Represent taxpayer in litigation involving casualty loss deductions arising from the eruption of Mt. St. Helens. Patricia Sweeney commented on how technology has impacted the hiring processes of corporate tax departments. Patricia J. Sweeney will be speaking during The Tax Council's (TTC) Annual Spring Tax Policy Conference from March 22-24, 2018 in Palm Beach, Florida. In Altera Corp. v. Commissioner, 145 T.C. No. 3 (July 27, 2015), the Tax Court put the Internal Revenue Service (IRS) and U.S.